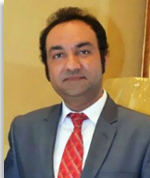 Mr. Amer Masood is a Lecturer at the department of Space Science, University of the Punjab, Lahore, Pakistan. He completed his B.Sc (Hons) degree in Space Science in 2007. M.Sc. Master in Geomatics from Karlsruhe University of Applied Sciences, Germany. He completed his M.Phil degree in Geomatics from University of the Punjab, Lahore, Pakistan in 2015. Currently he is doing his Ph.D at the department of Space Science, University of the Punjab, Lahore. He is actively engaged in research activities related to the field of Space Sciences (Remote Sensing/GIS, applications in Geosciences, tectonic geomorphology, hydrological modeling, nonlinear processes and fractals, surface dynamics, erosion modeling and urban planning in the context of landuse/Landcover). He has published ten research journal articles and four international conference publications to my credit in the field of Remote Sensing & GIS. He is involved in various teaching and research activities. He is teaching to BS, M.Sc and M.phil classes at the department of Space Science. He has been teaching various courses like, Cartography, Research Methods, Database Management Systems, Geostatistics, Physical geography and GIS. He has supervised research projects and thesis to BS, M.Sc and M.phil students. He is responsible for the student’s affairs, Exta/Co- Curricular Activities like, SpaceMag, Prospectus, Alumni, Special lectures, Seminars, Workshops, Sports, competitions, study visits ,overall grooming of students. He is a member of different departmental committees and also nominated as a focal person for different tasks.